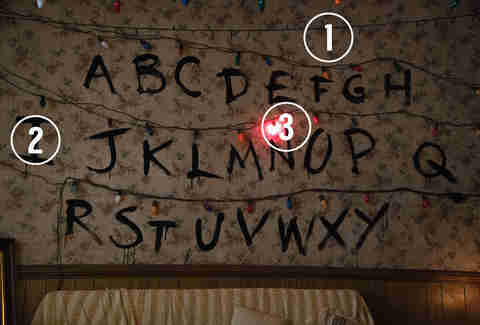 We all loved Stranger Things, so it's inevitable that we're all going to attempt to dress up as a character or three from Netflix's summer smash during Halloweekend. 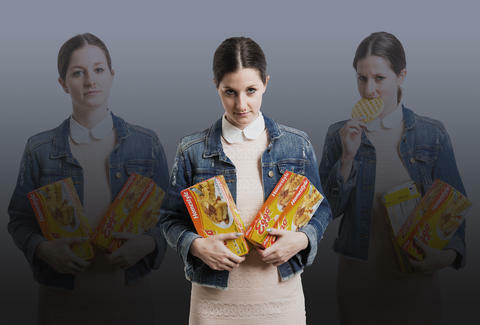 With all that competition, you'll need more than just a bloody nose to win an Eleven costume contest. Your entry-level Barb and Eleven costumes were already covered in our Halloween 2016 costume guide, so we picked out some less expected ways to showcase your fandom. 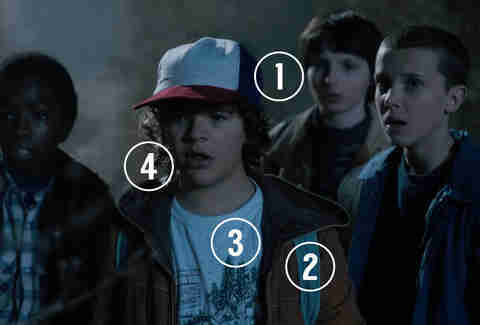 Using our handy tips, your getup will look fresh from the Upside Down. 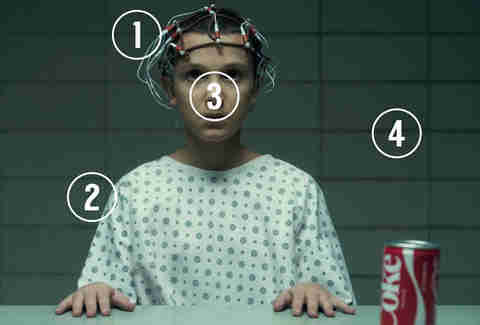 Everybody's gonna wear a dirty-blonde wig -- turn your version of Millie Bobby Brown's icon up to 11 by recreating her laboratory look. You'll need: 1) A colander that can comfortably accommodate your head; 2) a hospital gown; 3) fake blood for your nose; 4) bonus: a floater vest, in case you encounter any sensory-deprivation tanks. Will's fragile, devoted mother is the real hero of the story, thanks to Winona Ryder's aching performance. 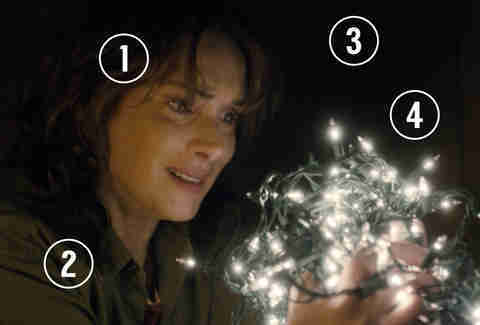 You'll need: 1) A shaggy '80s wig, slicked down with a little Crisco; 2) an army jacket; 3) infinite packs of Camel cigarettes; 4) a tangle of Christmas lights, which you cradle like the child you're missing. If you love monsters, a challenge, and spooking your friends, this is the costume for you. You'll need: 1) A Venus flytrap costume headpiece darkened with Rit dye, or this makeup tutorial; 2) creepy claws; 3) a swampy-looking shirt; 4) or, if you get lazy, a "Demogorgon costume" tee as a last resort. This one's for all the lovers -- and conspiracy theorists -- out there. You'll need: 1) Doe-inspired eyeliner, 2) a cable-knit sweater, and 3) study materials for Nancy; 4) a goofy wig, 5) popped-collar polo, and 6) a Casio watch for Steve. Brush up on your Dungeons & Dragons knowledge. You'll need: 1) A trucker hat; 2) a backpack; 3) an artichoke festival graphic tee; 4) a bicycle; 5) a keen awareness of cleidocranial dysplasia. This one is for the big-hearted skeptic of the group. 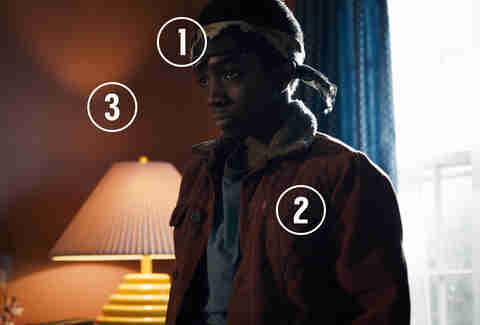 You'll need: (1) A camo bandanna; 2) a retro walkie-talkie set; 3) shearling jacket. For the ringleader of your group. 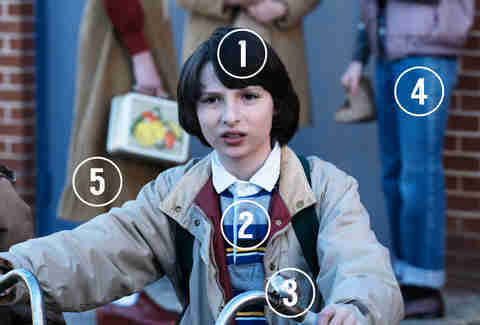 You'll need: 1) A shaggy wig; 2) retro polo, buttoned all the way up; 3) a bike; 4) the other one of Lucas' walkies; 5) a killer Finn Wolfhard impression. You're a big ol' softie. 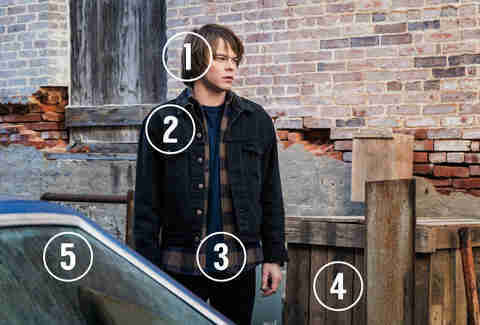 You'll need: 1) A wig with bangs; 2) a denim jacket; 3) plaid flannel; 4) a camera to protect from your enemies; 5) and a Clash-packed sad-boy mixtape. Forget the Demogorgon, this might be your most terrifying costume option. 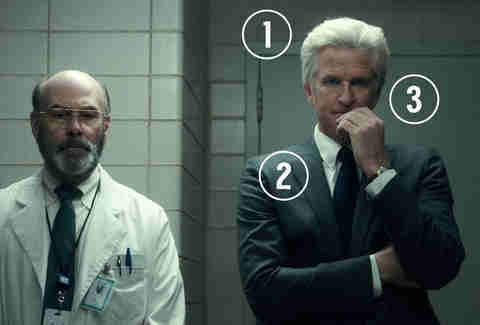 You'll need: 1) A gray-haired wig; 2) a slick suit; 3) a cold demeanor and the ability to drag small children. Bonus: a friend in a creepy lab coat. If you're a great sleuth, and love to play hero. 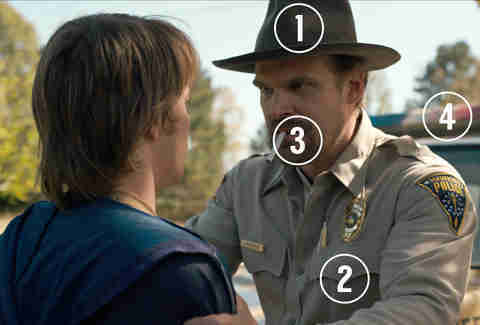 You'll need: 1) A cool hat; 2) sheriff uniform; 3) a medium number of cigarettes; and 4) a secret stash of Eggo waffles. You know a ton about interdimensional time travel, and have the patience to interrupt a date to explain it. 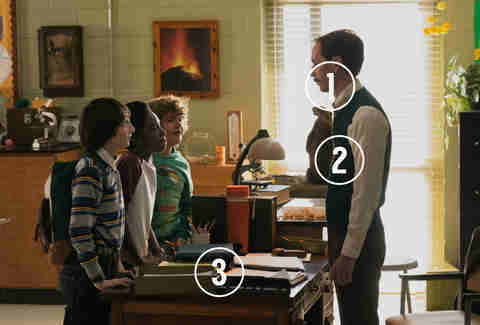 You'll need: 1) A neat mustache; 2) sweater vest; 3) paper plates, with which to explain parallel universes. Dibs on this one, because I'll be missing from your party and no one will be able to find me. You'll need: To stay home. A very important and underrepresented part of the series. You'll need: 1) A wallpaper-inspired floral shirt, 2) painted with the alphabet; and 3) string lights. Gather a group to pay tribute to the site you used to decorate your social media feeds this summer. You'll need: 1) A black tee for each participant, 2) each one stenciled with a letter, to spell out the message of your choice -- we recommend "FREE BARB." Lauren Leibowitz is an editor at Thrillist Entertainment. Tweet her photos of your Mike costume @lleibowitzz.